A unique combination one might not ever dream up on their own, but someone did, and I’m thankful for it. These little gems would be a welcome addition to any hors d’oeuvres party any time of the year. These have been sitting in the ‘post’ box since Christmas time. 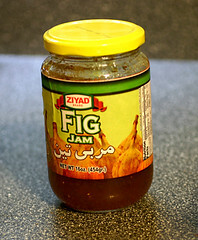 Fig Jam – I found mine in the Middle Eastern section of mygrocery store. 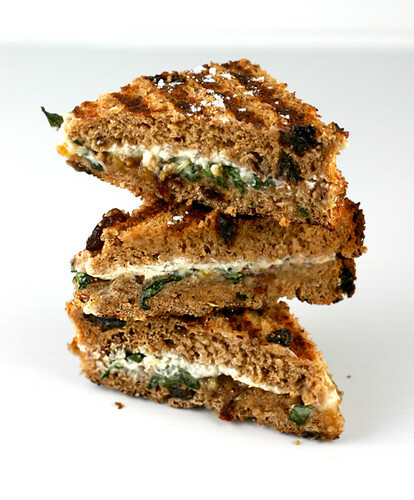 Top one slice of bread on top of the other slices of bread, just like a sandwich, toast under broiler or in a panini press or like a grilled cheese sandwich in a frying pan. Cut diagonally in an X. I trimmed the crust off too, but you don’t have to. These look scrumptious! I’d like a few right now! Tell me what a chiffonade of basil is, please. Roll up a few leaves and slice them into thin strips. Figs and goat cheese are a favorite! 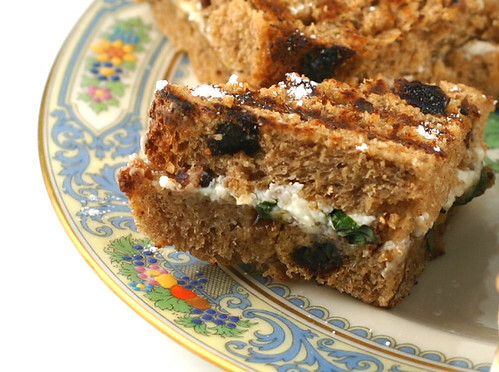 And with a touch of basil you can’t go wrong!